One that protects and values your people – but doesn’t constrain the business with pointless bureaucracy. That’s why our trainers clock up thousands of miles every year – visiting workplaces to meet people, understanding what they do, and making certain that the training delivered to your staff is exactly what is needed. Generic, one-size-fits-all approaches simply don’t protect your staff in the right way. Companies that get that, get us. Even our online training is delivered this way. Our team of Osteopaths and Physiotherapists film best-practise at your workplace, with your staff doing their actual jobs using the same equipment they usually use. By combining your knowledge of your own workplace with the experience of our Osteopaths and Physiotherapists, we help you expertly manage any type of musculoskeletal risk. From Manual Handling, to People Handling and Workstation Safety, we have deep expertise in a managing a wide range of risks to your employees and business. 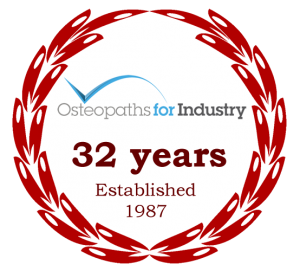 Osteopaths For Industry was founded in 1987, so for 32 years now we’ve been trusted by some of the largest companies and organisations in the UK to train and protect their workforce. 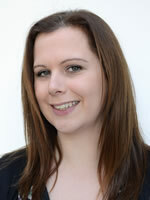 If you want to do it right, and want to find out what makes OFI the best – get in touch with us now.